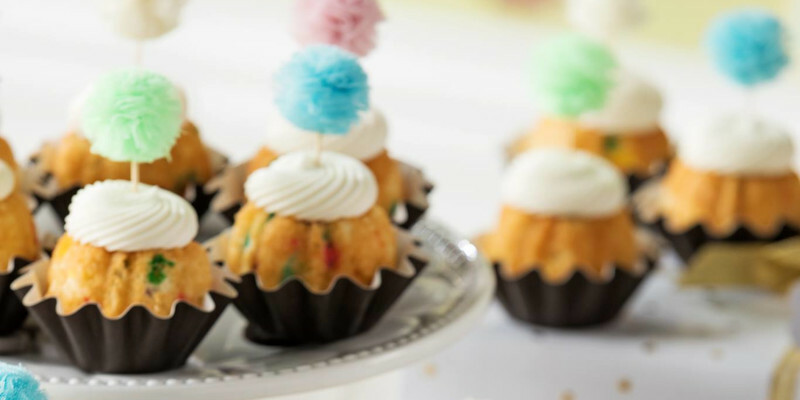 Nothing Bundt Cakes is about to open its 300th location and to celebrate, the bakery is hosting a nationwide giveaway of 300 Confetti Bundtlets, April 9. “I never would have dreamed in 1997, when we first started our bakery out of our home kitchens in Las Vegas, that we would someday have 300 locations across the nation. But here we are, and I am so proud that we’ve made life sweeter in so many communities. Our Confetti Bundtlet giveaway is our way of bringing joy and thanking our guests for including us in their celebrations and helping us reach this incredible milestone,” said Nothing Bundt Cakes co-founder and chairman of the board Dena Tripp. To get a free Confetti Bundtlet (a miniature Bundt Cake), guests can simply go to their nearest Nothing Bundt Cakes bakery. Each bakery will be giving away up to 300 Confetti Bundtlets for 300 seconds starting at 3 p.m. local time. “Our growth and success are due to the loyalty of our guests, along with our incomparable quality. We recognize that our growing network of bakery owners only makes us stronger as a brand, while allowing us to impact even more communities,” said Nothing Bundt Cakes CEO Kyle Smith.